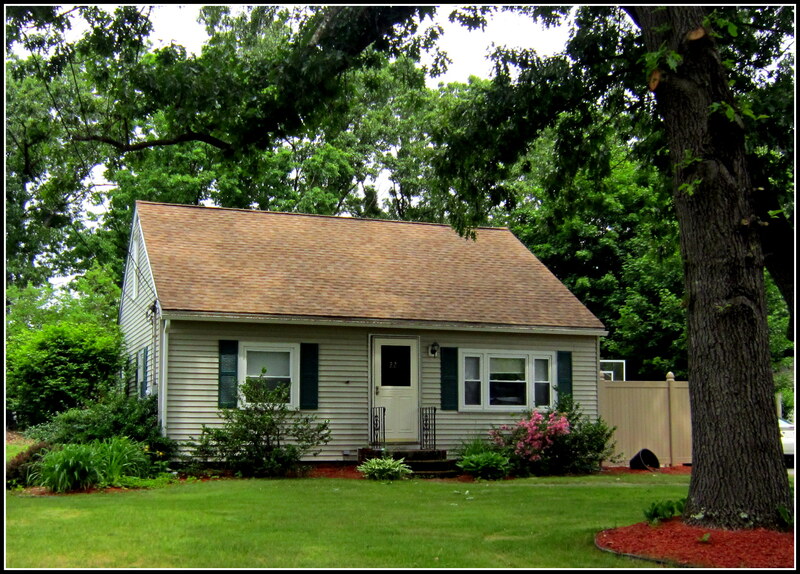 What is an expansion cape, first we need to know what is a cape style house? 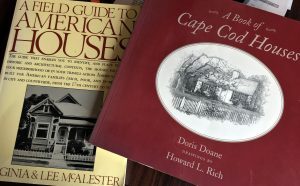 Originally a “Cape Cod” is considered folk architecture spanning the early settlements of the United States of America (Cape Cod Massachusetts). Typically one floor, with side gabled roof-lines, and low to the ground because of the flat terrain and heavy winds off the ocean of Cape Cod. The siding was weathered grey wood shingles…only the wealthy could afford to paint the houses white, and then it was only the front. This is only the beginning of the history of a cape, it’s one of the early styles built in America for the harsh Cape Cod environment. The design evolved over the years, roof-lines became steeper to allow for 2nd floor living areas, they became much larger, and many embellishments where added to the basic design. 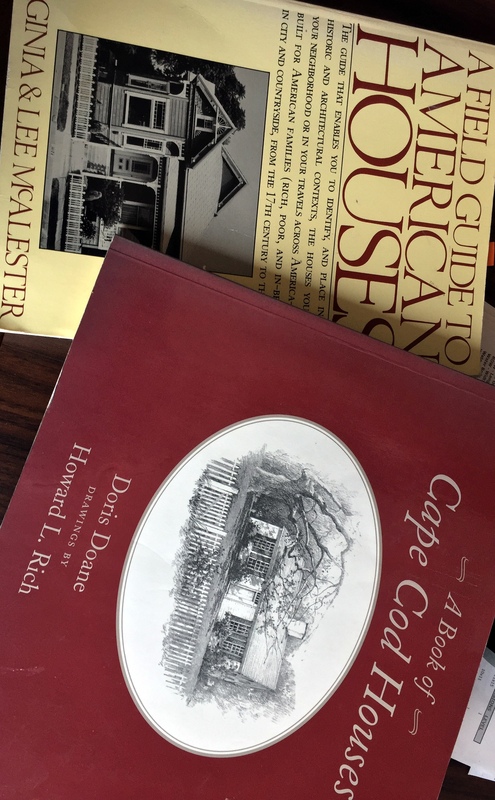 One of my favorite books on the subject is: A Book of Cape Cod Houses by Doris Doane, and of course my trusty Field Guide to American Houses by Virginia & Lee McAlester. An expansion cape is when the Cape you’re buying isn’t finished on the second floor. The key here is that there’s already a FULL staircase to the 2nd floor…it’s not just an attic. Most expansion capes I’ve run into have the sub-floor in, electrical, the ceiling and floors are insulated, and some have the plumbing brought up to make it easy to add a bathroom. 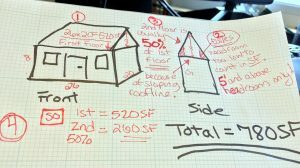 This allows for somebody to buy a modest house, and easily expand in the future = SWEAT EQUITY. 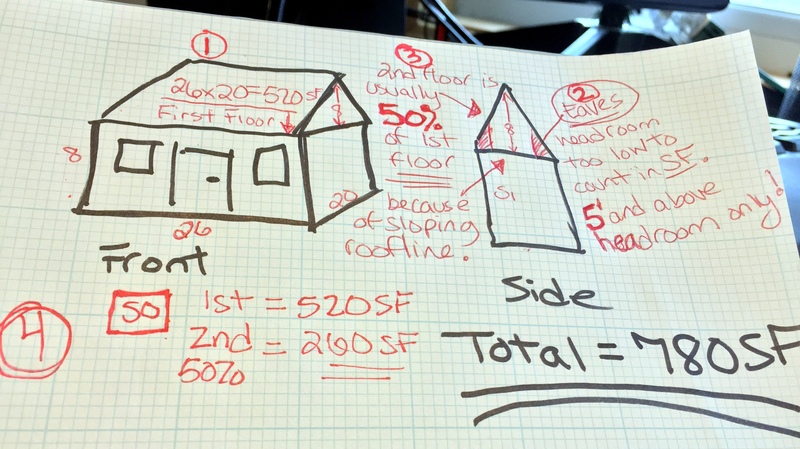 Messy rendering of square footage calculations.